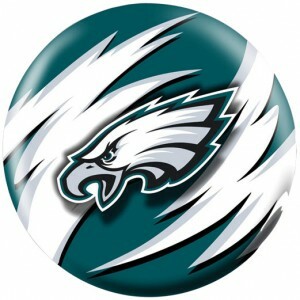 The American football team Philadelphia Eagles has announced its implication in the green energy sector with the installation of a $30 million renewable wind and solar energy system in their “battle field”. The spiral wind turbines, the solar and the co-generation installations will give an unequaled perspective on the sporting venues to come. They are no rookies in this business as they set up a Go Green project in 2003. While the project determinately anchored the Eagles into sustainable energy sector for the years to come, starting from 2007 the National Football League (NFL) was beginning to claim a leading position by purchasing renewable solar energy for the Super Bowls. The Eagles’ sustainable energy system, which will be proudly located in plain view, is designed and developed by SolarBlue, a company based in Florida and focused on innovative methods in energy conservation. The installation will consist of eighty sphere-shaped wind turbines surrounding the top of the Eagles Stadium with an additional 2,500 solar panels on the front view. The new system will generate 4 MW of excessive energy that will be marketed back to the network, meaning extra revenue for Philadelphia Eagles along with the anticipating saving of around $60 million in energy expenses for the coming 20 years. Dang I want they might get their junk sorted over so We know there was likely to be footballing this specific season. There will be a few significant instances of drawback without.